– Innovative lock design provides for easy opening or sealing. 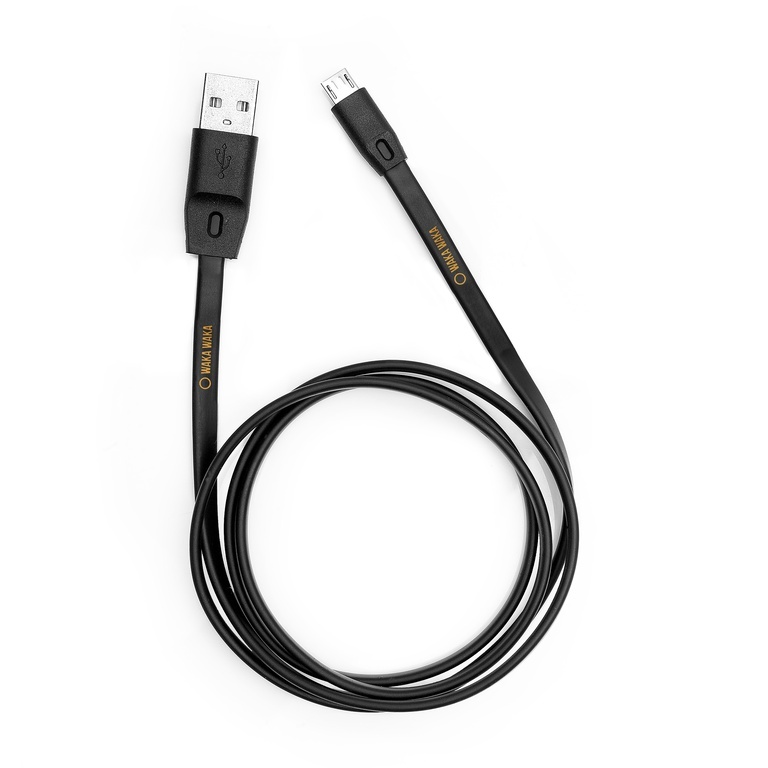 – Ultra Clear-film material allows button control. – Continue charging or shining light. 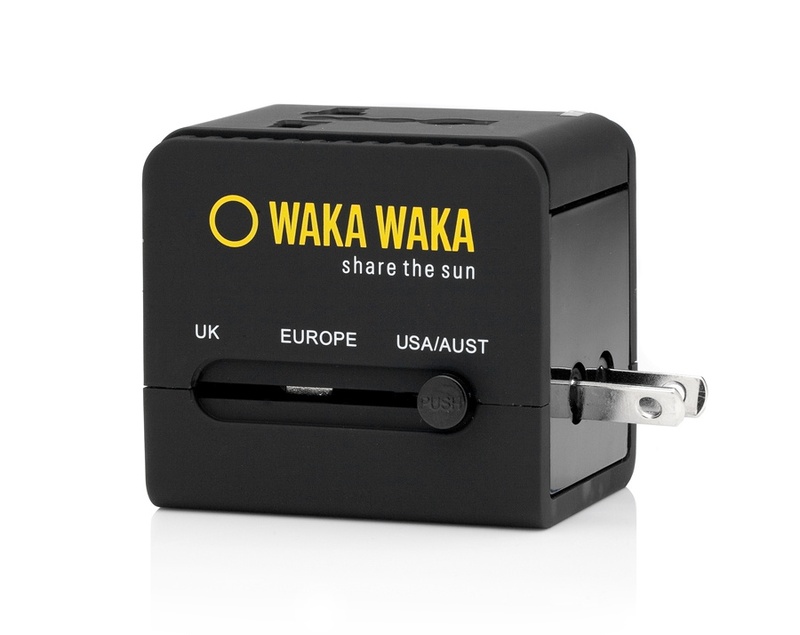 – Also holds: phones, cameras, cash, wallets or keys. 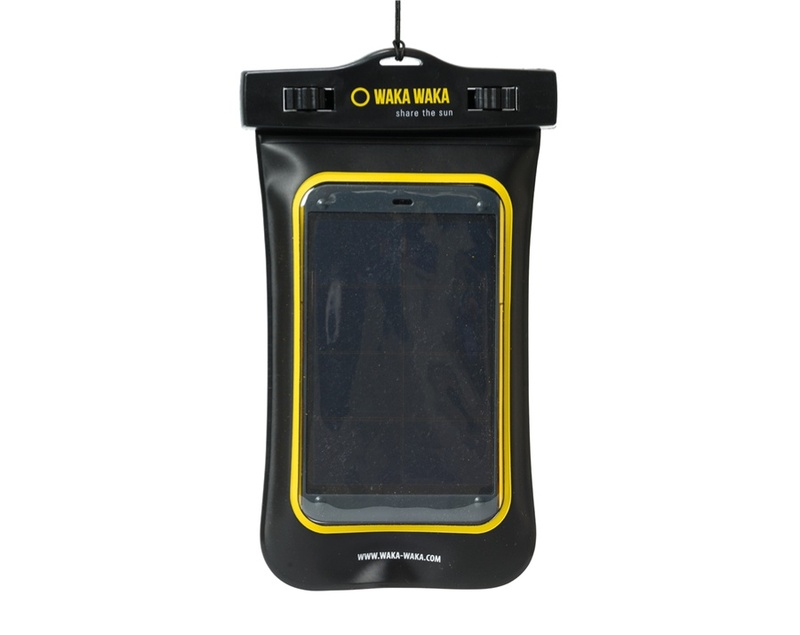 – Quality tested: waterproof protection up to a depth of 10 meters. 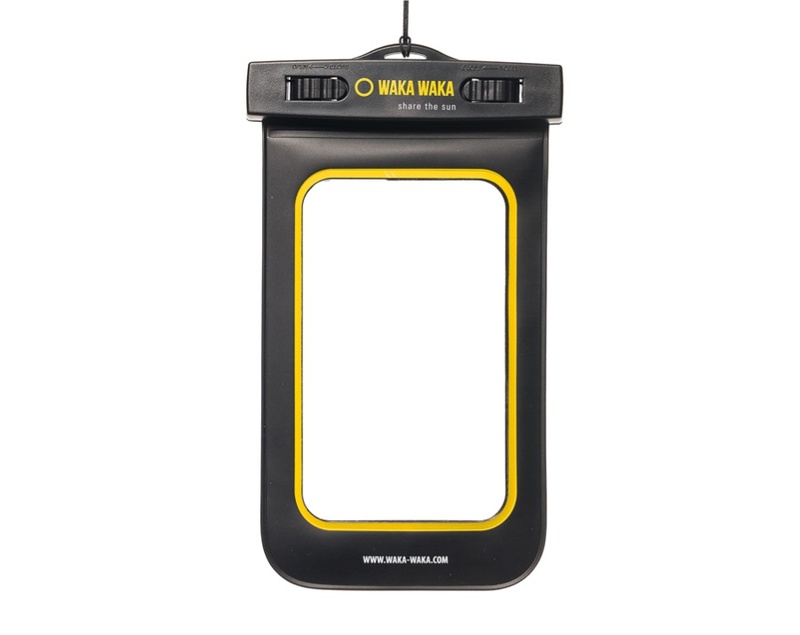 Your WakaWaka Power+ will stay protected from the elements even if you decide to take it along for a swim. 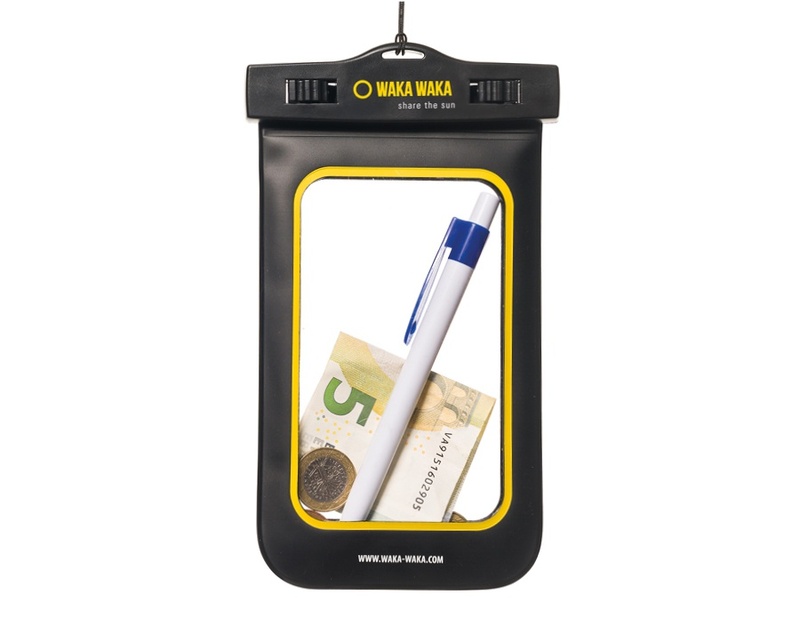 The pouch also comes in handy to hold phones, cameras, cash, documents, wallets or keys. Innovative swivel lock design provides a user friendly experience when opening or sealing. 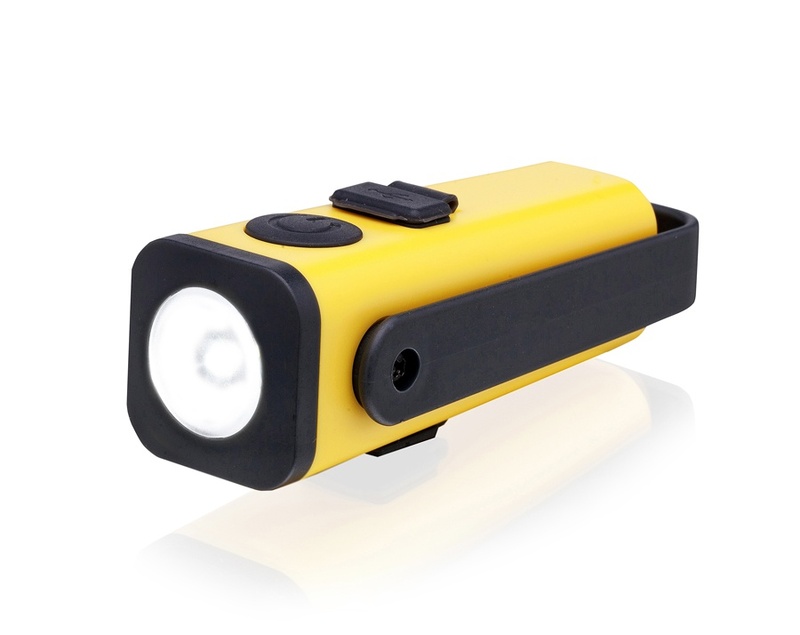 Ultra Clear-film material allows button control so you can continue charging or shining light. 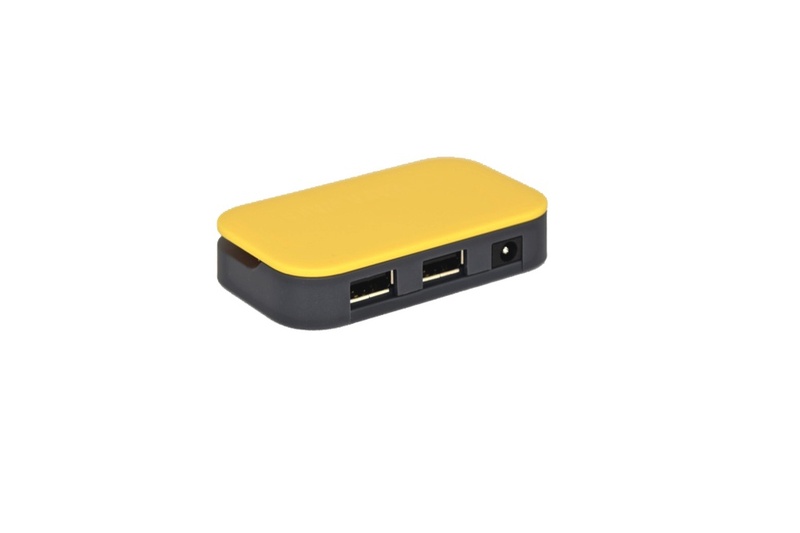 Also holds: phones, cameras, cash, documents wallets or keys.